Lana Lee spent 15 years as a civil and structural engineer, before switching careers and, shortly thereafter, becoming a community manager. Lana Lee graduated from UC Berkeley in civil engineering and then went to USC where she got a music degree in oboe performance and masters in civil engineering. For 15 years, Lana worked as a civil and structural engineer in the mining and gas industry, but in 2012, she wanted to do something different. She went back to school to earn a certificate in internet development and became a freelance web designer, creating websites for musicians. Freelance was great, but she missed being a part of a larger organization, so she added social media manager and community specialist to her job queue! Currently, Lana is the the Zuora community manager, but she still loves building communities through Meetup and Facebook, playing oboe and English Horn around the Bay Area and volunteering her web and social media skills for non-profits like Mensa, the Jenny Lin Foundation, the Contra Costa Orchestra and Life.Church Online. [00:00:24] Patrick O’Keefe: Hello and welcome back to Community Signal. We took our longest hiatus ever, two weeks to think about the future and decide where this show is going from here. Let’s talk about that. 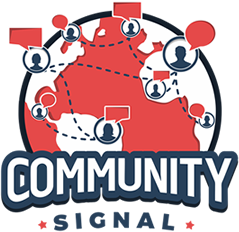 Community Signal launched as a weekly show on December 7, 2015 and after two years and almost two months, we’re going to change our schedule, moving to a biweekly show. Between the job I took last August and just to be honest, the long distance relationship with my girlfriend and balancing things out in my life, producing this show each week has at times felt like a bit of a sprint, not in the sense that quality has slipped, because I don’t feel that it has, but in the sense that we have time for nothing else. For example, if you like our transcripts, you may have noticed that they have fallen behind and we have not been finishing them in time for the episode release. Which pushes back the featured quotes and related links. That’s a small example of the bigger issue, which is that in the rush to produce the best show we can each week, we have no time to think about ways we could be doing more with each individual episode, and how we can share that information in bigger, more powerful and useful ways. I want to change that. I want to produce less episodes, but do more with them and go deeper. Starting today, we will be releasing an episode every two weeks, with an eye on expanding the show’s platform and creating more value with each and every episode. I’d love to hear your feedback on how we can do that, either via email at communitysignal.com/contact or on Twitter @CommunitySignal. A huge thank you to our Patreon supporters who have been patient as we have sorted this out. This includes Joseph Ranallo, Serena Snoad and Rachel Medanic. If you’d like to join them and receive perks from the show please visit communitysignal.com/innercircle. Our guest this week is Lana Lee. Lana graduated from UC Berkeley in Civil Engineering and then went to USC where she got a music degree in Oboe Performance and a Masters in Civil Engineering. 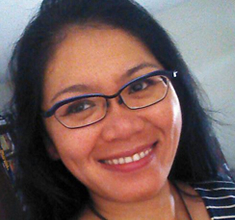 For 15 years, Lana worked as a civil instructional engineer in the mining and gas industry. But in 2012 she wanted to do something different. She went back to school to earn a certificate in internet development and became a freelance web designer creating websites for musicians. Freelance was great but she missed being a part of a larger organization, so she added social media manager and community specialist to her job queue. Currently, Lana is the Zuora community manager, but she still loves building community through Meetup and Facebook, playing oboe and English horn around the Bay Area and volunteering her web and social media skills for nonprofits like Mensa, the Jenny Lin Foundation, the Contra Costa Orchestra, and Life Church Online. Lana, welcome to the program. [00:02:53] Patrick O’Keefe: It’s a pleasure to have you on. I would love to talk a little bit about your time as a civil instructional engineer, because I find that really interesting. It’s pretty much excluded from your LinkedIn which is focused mostly on where you are right now, your internet and community work. What made you originally want to be a civil engineer? [00:03:12] Lana Lee: Well my father was a civil engineer and I made to his alma mater at UC Berkeley Builders. It was be an engineer, or go to Stanford and become a doctor. I didn’t get into Stanford, so it was engineer. All my uncles and aunts were engineers and my brother was at Berkeley. It was the thing to do and I was good at math, so I said, “Okay.” Because when you’re 18, you have no idea what you want do, really. Also when I was 18 there was no such thing as the internet. [00:04:10] Patrick O’Keefe: Now, your dad was he a civil engineer for his entire life or did he make any career switch as well like you did? [00:04:15] Lana Lee: Yes. He was a civil engineer. He loves civil engineering, so he gave real good stories. He talked me into it and I enjoyed it for a brief period of time, but, yes, he would do it for free. He loves it. [00:04:26] Patrick O’Keefe: Was his dad a civil engineer? [00:04:28] Lana Lee: No. His father was a fisherman. [00:04:30] Patrick O’Keefe: [laughs] Okay. I wonder how far the civil engineering pedigree goes in your family. [00:04:35] Patrick O’Keefe: For those who might not be familiar, what type of work were you doing? You were a civil engineer for about 15 years. What type of work were you doing? [00:04:41] Lana Lee: I was working in the oil and gas industry, like refineries and things like that, industrial buildings. Which is not as glamorous as saying, “a really fancy Frank Lloyd Wright house,” but it’s job and it pays the bills. It was comfortable. I enjoyed it but after a while you do the same thing over and over. Living in California, we’re an earthquake country. Eventually, the codes get stricter and stricter. Then it’s harder to design for structures. After a while it gets boring. My friends would have fun jobs like computer jobs and be like, “That’s so cool.” Then I would just go to work and be an engineer and just like, “Oh”. Which is all right. I just couldn’t see myself doing it for 30 more years until I turn 65. It’s just like, “Yes. Okay to stop”. [00:05:34] Patrick O’Keefe: How do you feel that your experience as a civil engineer compliments your move to the community profession? [00:05:40] Lana Lee: Sometimes it’s just, you have to deal with difficult people. Because a lot of the times in engineering, everything is due yesterday. You have to talk to clients, you have to talk to the city. You have to talk to people of different personalities, and you have to learn how to be diplomatic because what you say can have legal repercussions. Sometimes you’ve just got to smooth things over and make people happy at the end of the day. Because otherwise, if you have a few hundred union workers waiting for your design, waiting for that fax, or that email, you have to gloss things over or give, like I said before, the diplomatic answer to make them happy. Otherwise they’re going to be losing millions of dollars, because they’re all waiting for you. In that respect, that’s how it’s similar. Just like learning how to deal with people and understanding different personalities. [00:06:29] Patrick O’Keefe: Do you see any similarity in civil engineering, you’re building out these physical spaces, you’re taking into account the flow of people, the flow of whatever product you’re delivering, in this case, gas, oil, or energy. How things are structured, how you build the design of them, obviously [laughs] you’re the expert, impacts how successful those things are as you use community software. As you choose platforms, as you set those things up, do you ever think of things you learned when you were studying civil engineering? Is there any crossover there? [00:07:02] Lana Lee: It’s interesting that you put it that way, because actually it does. Because for engineers, you have to be organized, and you also have to think two steps ahead. In a way, when I was putting together our community, I had to think about, “What kind of problems would this person have in the future?” Like, “How can this document be misunderstood by this person or that person or that person or that person? Are there any loopholes?” Because for engineering, you have to make sure that all your numbers match up. There’s a small room for error. Because that error could result in a loss of life. There’s that certain type of, I shouldn’t say perfectionism, but just making sure everything works like clockwork. Everything works like a well-oiled machine. Then you also have to add a certain amount of buffer. Should something not work, then a least you have a timer, you have a plan B should this not work, and stuff like that. With people, it’s a lot more difficult than, say, math. Because one plus one always equals two. With people there’s the added challenge, because personalities are complicated. You don’t know what this person’s trigger is or that person’s trigger. It makes it a little more exciting. It’s fun because as an engineer I’m a natural problem solver, so with communities it’s fun because it’s like, suppose customer X isn’t getting their answers. I have to think of a creative way to reach out to an internal team to get that question answered. Or think of a creative way to motivate people, to motivate behaviors. It’s a different type of challenge. [00:08:30] Patrick O’Keefe: I would like to pause to mention our excellent sponsor who has been a great long-term partner of the program, Higher Logic. When you were launching the Zuora Community, you were worried that some teams wouldn’t take the community seriously. What did you do? [00:09:16] Lana Lee: I created an internal newsletter, because the only way to reach people just to make things fun. Because at the end of the day, work is work. A community, you associate it with something fun and exciting. I try to make a fun newsletter that wasn’t so boring, like numbers and metrics and dollar figures. Basically, you tell a story, because people always remember stories. I would tell stories of how this customer got excited about this product and put in quotes, because I try to collect positive quotes. Somebody asks, “Do you have any quotes from customers that you can share?” I put a certain quote from a certain customer. Usually I try to look for a big account, because then everyone feels happy that a big account is happy. Or I share a story of how this team used the community. At least I can create a brainchild on somebody else’s mind because I have a mentor on Zuora, I don’t know her title now but I think she was the director of marketing at that time. It could be senior director, she just got promoted. The thing I remember when I was having a meeting with her, she just said, “People always remember the stories.” In the newsletter I would just tell stories, I would pick some pictures and just make it fun to read. Then from there people got ideas. Then I tried to appeal subliminally to the competitive nature between teams like, “Marketing is doing this. What about this team?” I try to throw ideas when they’re reading, because most of the times people are skimming on their phones. [00:10:51] Patrick O’Keefe: I wanted to draw that up, because I think it’s interesting to have an internal newsletter dedicated to happenings in the community. As we sometimes go about this work we all have X number of hours per week, and we’re rushing around to do this or do that. I think it’s very easy, it makes sense it’s practical to focus on the community and the people in it. To always be thinking in that way where there’s this thing that’s waiting. This member has this post, or this member has this question, or there is this tweet, or this whatever that I have to get back to. There’s this email from the member of the community because that really is probably our number one priority. It’s easy to forget the fact that there’s an internal audience to serve often times. It helps to create programming for that audience. To have a regular newsletter that is dedicated to serving the internal needs of the company and taking that community content. The community context and putting into the categories that they will care about will often have a really good impact. I don’t know that I have heard a lot of newsletters for the company based upon the community happenings. I think that is just really interesting. [00:12:02] Lana Lee: Yes. I try to phrase things such that like, “How can a community make your life better?” I don’t try to phrase in your life I explain like, “How the community made this team’s life better.” At least is like after the fact they tried it, then I try to get a direct quote from someone higher-up to get a little more clout. Then it adds a little more meat, versus when just asking for someone who’s low on the totem poles. I’m not saying they are nobodies, but it just has more weight to have executive engagement or have upper management engagement. That carries a lot of weight too. 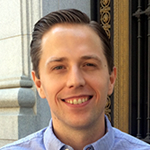 [00:12:39] Patrick O’Keefe: Because a lot of those stories, I’ve heard from plenty of professionals who meet internally with different department heads and has different departments and explains the value of community to them as a means of getting them excited. While those stories often end is with the community professional with the department head, or possibly with the person that the community pro reports to in justifying the existence of the community. They don’t often, or as much permeate into other teams at the same company, where, say, marketing benefited in this way but HR doesn’t actually learn about it. Or, this department benefited in this way, engineering benefited in this way, but marketing is unaware of that. That communication across the team that directly relates to the community is not something I have heard a lot of. I think that’s a really good way to approach it. [00:13:25] Lana Lee: Yes. Because I know one of our mottos is just, “Think community.” Even if you don’t do anything with community, but just if you think like — because we have this internal rewards system, we called it, “You Earned It Points.” Then I got a little budget from HR to distribute a certain number of, “You Earned It Points” that people can exchange at Amazon gift cards and stuff like that. Like award to certain individuals within certain teams, these You Earned It Points when they “thought Community”. They reach out to community that maybe they want me to connect with their customer just walk them through the community. In a way the community just came into their mind, “Hey, this should be it.” It’s baby steps. The first step is just being on their mind, initially. I was just rewarding those things and from those individual rewards then it makes them feel good and then the team rallies around them like, “Great job, Matt.” Then maybe the manager there, the VP of that department will just send out an email to the team and say, “Hey, Matt did a great job. It’s awesome. Good job, Matt,” or something like that. Just trying to find that sweet spot of what can influence behaviors in a positive way towards community to get them to do what I want eventually. [00:14:40] Patrick O’Keefe: I love it. Speaking of the launch of the Zoura community you were the person who led the launch and it just turned two years old. Congrats on the birthday. [00:14:47] Lana Lee: Yes. Thank you. [00:14:47] Patrick O’Keefe: In your monthly news-post, where you mentioned that anniversary you said that in this your upcoming third year, you’ll be launching a community boot camp program to help new users become “Power Users.” Tell me about that. [00:15:05] Patrick O’Keefe: In your heart of hearts, how do you see it working? What’s the components of that program to get people up to speed? [00:15:10] Lana Lee: I would like foster them, like maybe they’re not that active in the community. Eventually, I have to be honest that any of us that would sign up to be a Superuser the incentives are what motivates us. Suppose someone is not there yet, like they’re new to the community, or they’re not that active, or they are just not familiar with it. Then at least I would foster them to be like, “Hey, do you know the answer to this post?” Or, “Hey, just great job on this post. Perhaps you can include a link to our knowledge center,” or something like that. At least it’s training them on how to do community. That’s the one thing that I got a lot. It’s just that we don’t know how to do community. It’s like, “Well, if you look around everything’s community-based.” Like you’re on Facebook, it’s a community. You go to coffee with your friends, that’s a community. It’s translating that to the actual Zuora Community, then they sort of get it. Because we are, I think we’re B2B, so a lot of people they’re very cautious. Because, yes, they’re there to represent their company. They want to be professional, so they just don’t want to cross the line. They’re worried about being inappropriate, which I’m not worried about any of them being inappropriate. They just want to present themselves in a good way. In a way that would be my boot camp. I would guide them in how to participate. Because I remember when I met with some customers, they were just like, “Can we say that? Can we say that, you know, the notifications aren’t coming out fast enough.” Because they don’t want to be mean, because they’re all generally nice people. Everyone’s well-behaved because we’re B2B. [00:16:41] Patrick O’Keefe: The whole political component to that also. Even if your company is good about that, other companies may not be where they’re just saying something in public like that could cause some political rift. Which is weird, because in this case, you’re the service provider, they’re the customer, right? The customer should be able to say something, but honestly that does, in a lot of context that can be uncomfortable. Because otherwise, they’ll feel helpless. They keep it bottled up inside and usually that festers and becomes a big thing and then eventually they may churn. We need to keep that line of communication open even though they’re not happy. We need to know what you don’t like so we can make it better. We want to make your lives better, and the only way we can do that is if you tell us. [00:17:48] Patrick O’Keefe: In B2B communities, you highlighted the fact that people are professionals and they want to appear professional. I manage some communities that are like that. How do you think that works to your benefit? There’s the obvious thing that they’re less likely to drop F-words, right? They’re less likely to drop the obvious really inappropriate stuff. They’re not going to have…For the most part, there are some exceptions. People can get pretty crazy in any environment, but you’re not going to have like what we would think of as trolling, you’re not going to have profanity or have any abusive behavior. There might be some other behaviors that aren’t that great, but how do you use that to your advantage, do you think? [00:18:23] Lana Lee: I don’t know. I just know that I’m blessed to have such a well-behaved community. Because I managed some social communities and that’s like really hard to control, because emotions go crazy. For B2B, it’s a challenge because at the same time we’re a global company. We have global customers, so in some areas they are a little more vocal. They’ll be more outspoken versus others, they’re more like you have to read between the lines to see what they’re actually getting at. [00:18:51] Lana Lee: It’s a challenge that way, but overall, I don’t really have an answer for the B2B. That’s an interesting thing to think about. [00:18:59] Patrick O’Keefe: I think you made a good point there because it sounds like culturally, some cultures are less, let’s say, blunt and less obvious in your face and maybe more polite in some ways. They are less likely to express a criticism even if they internally feel that way, and maybe they make decisions based upon that, right? Maybe they leave because they feel that way perhaps even. They’re less likely to verbalize that so you have to, as you said, read between the lines or even drag it out of them a little bit, [laughs] and to get down to their real point of the issue and actually help improve your product. [00:19:34] Lana Lee: Yes. Because, of course, we’ve all had members that have written certain ways are really direct and you think they’re a certain way they’re like, “Oh, man. He or she is a jerk”. Then you meet them in real life and you’re just like, “Oh, they’re cool.” When they write stuff, it comes out differently than if you meet them in person. Yes. That’s just how people are and that’s just the fun of being a community manager, just being pleasantly surprised. [00:20:01] Patrick O’Keefe: You have found success with…It sounded like to me from what you described to me for the show almost empowering your support desk people and Help Desk people to identify topics that would then be useful for your staff to start in the forum. For example, you get a question from a customer, and they had this problem and then the support person feels like, “This is a problem that’s going to crop up again.” In those cases, you have essentially started a forum topic, started by the staff describing that problem and describing the solution. That’s really been pretty successful for you from what you said, right? [00:20:36] Lana Lee: Yes. Then initially we had the agent write, we call them Customer Solutions Articles, but they’re basically FAQs. We have to write these articles and the community, based on the time that they had but, of course, as agents going to get tickets every day. It’s just like, sometimes they just couldn’t find the time. Then, last April we tested out this feature of requiring the agents to go for each ticket, they need to think about it before they close the ticket, if this is would make a good solutions article. That was beneficial because we’ve started getting all these really great articles in the community. Because I keep a report every week, but now I’m going to change to every month. [00:21:19] Lana Lee: I know. Tell me about it. I just decided, because I’m a team of one, sounds like I’ve decided, yes. I notice that within the month before we required them to write the solutions articles our views of the FAQs are about 4,000 a month. Then within a month after, they were turning up these articles that our views went up to 7,000. That was a big improvement. Eventually, we turned it off around November. Because near the end some of the questions are being duplicated. So far, it’s been around 7,500 views a month or 8,000. Still, it’s like people are still getting a lot of value. Agents are still putting in their questions when they can and it’s a benefit to them, because sometimes you want that challenging ticket. You don’t want to get the same ticket over and over and over. The same solution. Or you can point them to the community and stuff like that. [00:22:12] Patrick O’Keefe: I took a look at your forum, they’re forum posts, right? The agents are posting this as forum posts in your community? [00:22:16] Lana Lee: Yes. They are posting this as forum post, because every platform has it’s limitations and stuff. We formed a way to work around it, like the agents will post the original post as a question, and then they would post a reply to their own question. Then they would mark there, “Requires a solution.” Because eventually we’re going to be revamping the community. At least I’ll show solved articles, so at least they’ll be populated in there and people can search from within there. [00:22:41] Patrick O’Keefe: The reason I pointed it out and highlighted that is because I think it’s great because a lot of people want to do something that’s like this. They say, “We should do something that’s like this,” where we have these questions or we have this information. We have this data and people ask us and people talk about it, but we just have this section of our website or this forum or this thing. They see it as some like, needs to be perfect type thing. We need to have a knowledge base or knowledge management, or an FAQ page. Or we need to have this software or this tool. Or this company did it this way, so we need to do it that way. Just do it. Do it with what you have. Because if you share good information in the community especially in that setting where it can be indexed and searched and found. Maybe, yes, you can always improve and always get better and get a little more specialized perhaps. Just by getting it out there you’ve already served X number of customers that would have been not served or lesser served if you had not simply started making the post and getting it out there. I just love the idea of saying these are our tools right now. These are platforms we invested in we should share this knowledge. Let’s do it. Let’s get it out there and that’s what you did. [00:23:50] Lana Lee: Yes. Because before they were keeping the articles in Zendesk first. It was only visible to internal or certain customers, so not everyone could find them. [00:23:58] Lana Lee: Once we launched the community then we just that was our first test. We were just populating things in the community. At least we had content. Then like you were saying, a lot of people say we should be doing this. It’s on our list of things to do. Oftentimes I think of being a community manager is like being a programmer for network TV channel. If you don’t do it someone else is going to do it. You want to be the first. You don’t want to be second. Especially when you are the product. Because eventually, someone else is going to do it. You better be the first. [00:24:29] Patrick O’Keefe: The Zuora Community is on Lithium. You’re B2B that’s fairly common with B2B. You also lead a team of moderators for the 20,000 member Life.Church Facebook Group. It receives or has received about 1,700 posts in the last 30 days. The stats are public on the Facebook Group Page now. [laughs] That’s Facebook I’ll say. [laughter] They’re public you only have to get part of the group. I’m not. I have been using community platforms for a long time, all sorts of platforms and in my day job, I manage a network of Facebook groups with thousands of members. As someone who uses Lithium for your day job and then switches over to Facebook groups for this other volunteer role that you have, how would you describe going from Lithium to Facebook groups from an admin and moderation toolset perspective? [00:25:17] Lana Lee: For the Facebook group, we approve posts. We just don’t let everyone post, because sometimes people can post inappropriate things. We get some trollers in there someones. It’s a pro and con, because sometimes, I hate to say that people sometimes don’t read the instructions. Like we have tried to have post like, since this is a church, we ask like, “Hey, how can we pray for you today?” We try to post like, I think someone from the staff posts that graphic every day. It goes ignored and people just start posting their individual posts, and we’re trying to channel them in there and to have follow certain threads. That’s the challenge in that way. It’s a lot harder to change behaviors, because there’s some catharsis in terms of when people post. You get notifications that people like your post, you get notifications when someone replies to your post and someone mentions it versus you’re on a thread and get other people’s stuff and it’s annoying. That’s the challenge in that respect. For example, in Lithium, at least we can create different forums, different groups, or different topics versus Facebook. That’s it. Facebook that’s it. Free for all. [00:26:19] Patrick O’Keefe: Yes. What you’re describing is the design of Facebook Groups. Exactly. And I’ve been publicly critical of Facebook Groups, I just don’t like them. They’re not a good community platform for my opinion. I don’t even think of them really as a — I don’t know. They are a community platform, but it’s in the middle of actual forum, slash community platform and chat room. [00:27:23] Lana Lee: Yes. I think of Facebook like a toy. Most people are there for the social things just to kill time versus just like, if you were in Zoura community, or some Lithium community, you know that you’re in a different mindset. When they’re in the Facebook mindset, they’re just like, “Well–” just like you’re saying, “It’s just part of Facebook, so I’ll just post.” There’s no like, “Oh, this is a group in Facebook, so I need to change this mindset.” Because it’s just like the News Feed is just so inter-meshed with each other. There’s no distinguishing. You just think, “Oh, this is my personal page. This is a group with 20,000 members.” I think Facebook groups are good when it’s not 20,000 people, they can foresee like how many people would actually join. They’re just like, Whoa. They are overwhelmed. They’re just like for a group that large then it’s difficult. Especially, like some people hijack the thread with a certain topic that other people may not be interested in, then you’re going to lose a lot of eyeballs. Because basically you want to keep all the eyeballs. It’s information overload almost. [00:28:23] Patrick O’Keefe: “I think of Facebook like a toy,” is a great line. That’s a really great line, as is with 20,000 they are not very good. The thing is Facebook’s groups struggle so badly and obviously under-scale. I think once you get past 20 people, it just starts to go downhill. Realistically, it’s just not built for this. You also mentioned this, the idea that News Feed now is all together. Yes. It’s the article from the news outlet is right next to the Facebook post from the Life.Church Facebook Group. It’s right next to each other in the feed. It’s like, “Ah, I hate this thing. Oh, here’s the Life.Church Facebook group, and I see it exactly the same.” It’s such a shame. [00:29:01] Lana Lee: Especially when people are sharing the same thing. When something becomes viral, just everyone sharing the same thing, it’s just like you don’t really look to see what group is from. You just look to see what the video is from or what their meme is from, and you just don’t think about it. [00:29:16] Patrick O’Keefe: Yes. It’s a frustrating platform. I use it because that’s what we do at my job. During my job interview, I said that Facebook Groups are terrible. I think we’re all in the same. [crosstalk] Yes. I did. We’re already moving in the same direction. I said something like, “I’m glad I have the experience, and I’ve come to the realization really,” and this is not like I’m sure you have obviously, and other active group events have a lot of them. I don’t know most of them or many of them. I would guess that those that have standards for their community for the most part do have pre-moderation on. I have always been an advocate for post moderation. Facebook groups may be the single greatest use case for pre-moderation that I’ve ever seen, because of the way they’re designed. Because of the things we’ve discussed, the single-stream, the difficulty in retraining those behavioral or norms on Facebook. The sense of entitlement people have on Facebook in a sense. It feels like pre-moderation should be the default for anyone who wants to maintain standards as a group scales. I mean what would Life.Church Facebook Group be like if you just flip to post-moderation? [00:30:52] Patrick O’Keefe: A mess. [00:30:54] Lana Lee: It’d be a mess. I mean I would be getting notifications off the hook and that would ruin Facebook as a toy for me. [laughs] Yes. It would be a mess. [00:31:06] Patrick O’Keefe: I would be curious to see data about pre-mod versus post-mod Facebook Groups and the effect on growth and plateaus. Because I would think that there is a shelf life when it comes to growth especially for a post moderation Facebook group. Because I feel like the inevitable is it’s dominated by these voices and these people and these behaviors. There’s no amount of moderation that can fix that. That’ll exist in a post moderating every comment as it goes up and that sort of situation and that eventually there’s a point where you start to lose more people than you gain because the people who are in the group are frustrated by the lack of consistent quality or consistent normalcy in that group and the fact that it’s just whatever the latest person wants to post. That’s the tone of the group and you start shedding people at a rate faster than you gain them. [00:32:03] Lana Lee: Right. Then like if it’s a free-for-all and of course people are going to start complaining about that free-for-all, and that’ll bring like more of a negative complaining tone. Sometimes you don’t know what Facebook’s algorithms are, because they change them all the time. Then you don’t really know what’s going to be at the top, what’s going to be next and things might get bumped down. I think it’ll run out of steam very fast like the death of the Facebook group will come sooner if it was just post-moderation, I think. [00:32:31] Patrick O’Keefe: Well, Lana it has been a lot of fun talking with you. I’ve enjoyed the conversation. Thank you so much for making time for us today. [00:32:36] Lana Lee: Oh, sure. Thank you for having me. [00:32:39] Patrick O’Keefe: We’ve been talking with Lana Lee, community manager for Zuora. Visit their community at community.zuora.com. Zoura is spelled, Z-U-O-R-A. You can find Lana’s web design for a musician’s site at, woodwindwebdesign.com, and read her blog at blipsonablog.com. Finally, follow her on Twitter @lanalyzer314, that’s L-A-N-A-L-Y-Z-E-R-314. For the transcript from this episode plus highlights and links that we mentioned, please visit communitysignal.com. Community Signal is produced by Karn Broad. We’ll be back in two weeks. Wow, great interview. Both you and Lana were superb. She’s a real expert! Thank you, Marty! That is very kind.